Welcome to the world of Jodeco Glass! Jodeco Glass is a specialist in decorative glass. 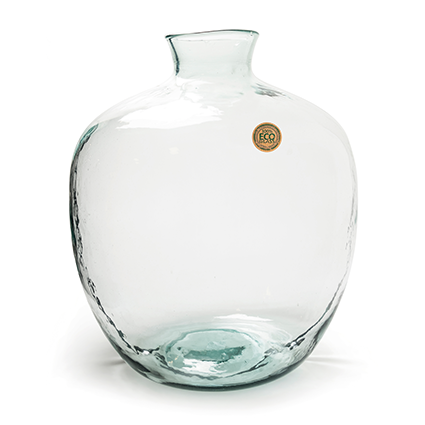 Our collection consists of a wide range of products; from the basic classical square vase to custom-made glass products. Furthermore we offer glass products combined with wood, iron, ceramic or cane. Our experienced and dedicated account managers will be pleased to help you creating your own customised and up-to-date collection of decorative glass. Our company, founded in 1997, gradually grew into an international player. We never lost eye on our most important credo: Customer focus with an always up-to-date collection of decorative glass for fair prices. Our customers can be found amongst florists, garden centres and large retailers. In recent years, also large gift- and furniture stores across Europe have found their way to Jodeco Glass. Since the start of our company in march 1997, we have been focussing on the demand for solid, but up-to-date collections of decorative glass for competitive (Dutch!) prices. This enabled us to grow on a fast pace. Within just one year we moved to a new location of 1.000 m2. In 2003 we moved again to our current location in Dinxperlo (NL), where we have our office, showroom and warehouse. However, growth continued; in 2013 the location, once again, expanded significantly. We would be more than happy to welcome you to our showroom in Dinxperlo (opening hours Monday till Friday from 9.00 – 17.00 hours). When possible, please let us know the date of your visit upfront, so we can ensure that the right person is there to welcome you! If you prefer to make an appointment with one of our representatives at your own location, please feel free to contact us by phone: +31 (0)315 65 71 65 or email. Jodeco Glass is also present at many other major fairs and exhibitions. See our agenda. Not only we have an excellent basic collection with changing seasonal articles, but you can also contact us for the “Only for you” range. These are articles, packaging, printing and labelling created exclusively for your needs or those of your customers. A special model made of glass, a great packaging or your own display palette, everything is possible! Do you have a challenge for us? We’re going to get started; Only for you!